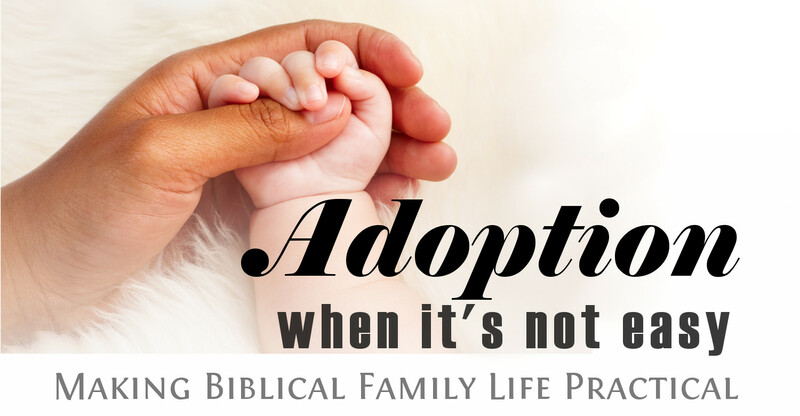 Adoption is a picture of God’s love for His people. It literally saves lives and it rescues children from terrible situations. It’s not as simple as choosing a pet from the store, though, and adopted children often have problems that continue into adult life. This episode, we talk with Shauna Lopez, an adoptive parent who’s dealt with traumatized children in her own home. 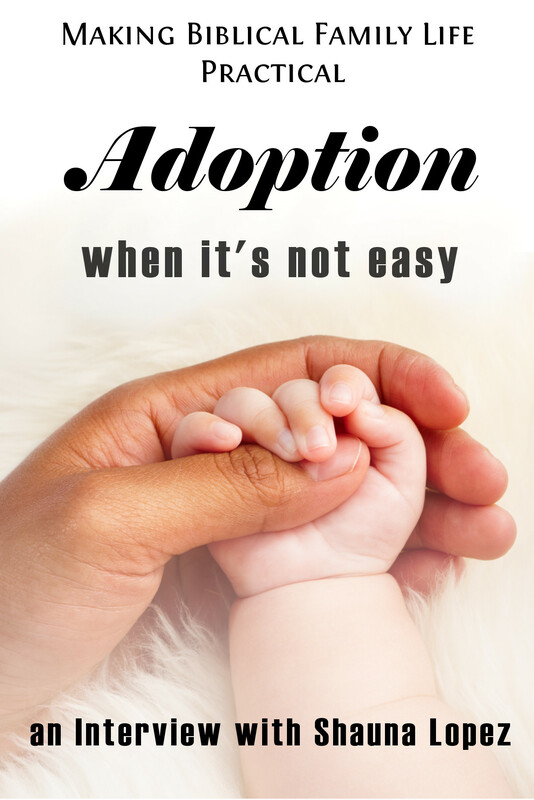 Learn what to prepare for if you’re considering adoption, and how to come alongside and love families who are in the process themselves. Recently at the Teach Them Diligently conference in Waco, Texas, we had the opportunity to interview our friend Shauna Lopez. We met Shauna, her husband Abel, and their family in our travels several years ago, and we’ve stayed in their home. A few years before we met them, they had a difficult experience adopting three young boys, and Shauna agreed to share some of what they’ve learned. One of the concerns we have is that Shauna and Abel’s experience is not uncommon, but it’s not widely recognized. Children who have been through trauma react differently to parenting. Others observe that any adoption, even within a family, starts with some sort of catastrophe. Children don’t end up adopted unless there’s been some loss, some trauma, or some trouble in that young life. To find out more about loving children with trauma – and ministering to the families who adopt them – listen in to the rest of the program! 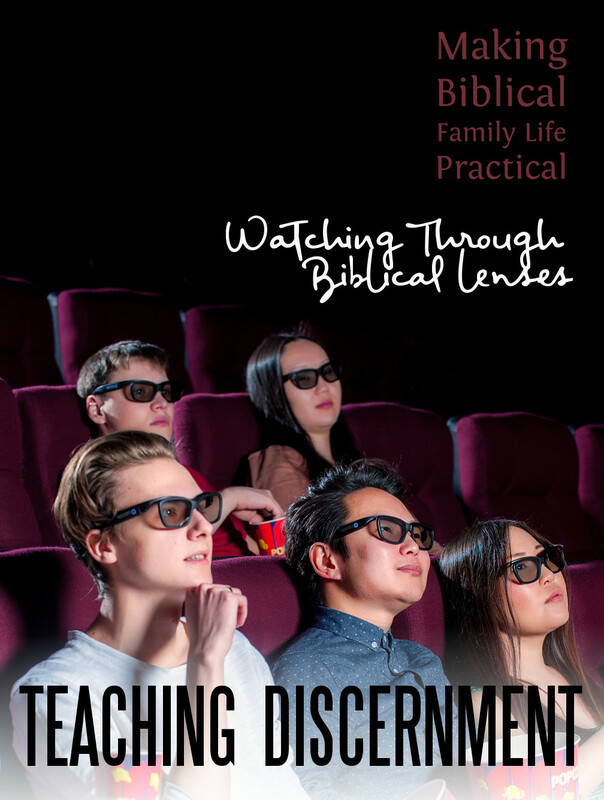 How do you teach your kids discernment in a world soaked in media? We may be able to tightly control our youngest children’s exposure and experience of the entertainment world, but that changes with time. We need to train our teens how to recognize both the good things in media and the deceptive things which lie in wait for the unwary! 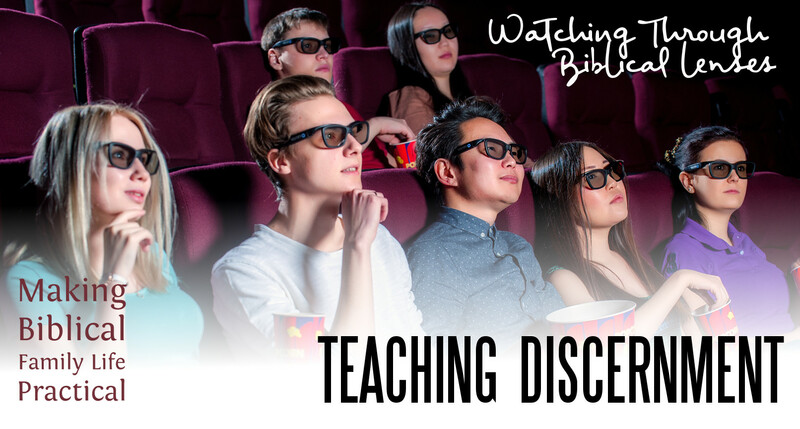 How can we prepare them to see everything, even entertainment, through a Biblical lens? “Media changes culture throughout history. We can look at so many times a book at the right time changed the world. And so, you know, given that, we’ve got to teach our kids how to handle it. “Every time we talk about this, I think about Francis Schaefer’s book Art and the Bible. That is such a good resource because he explains this … How do you look at art? “There are a couple of things here. There’s good art or bad art, and there’s good message or bad message. “When you’re talking about art, it’s about the skill of the artist … Are they able to write? Can they write a coherent sentence? Can they tell a story? Can they handle the camera? But then the message is, what are they communicating? Kids – Don’t be like Miss Jones! 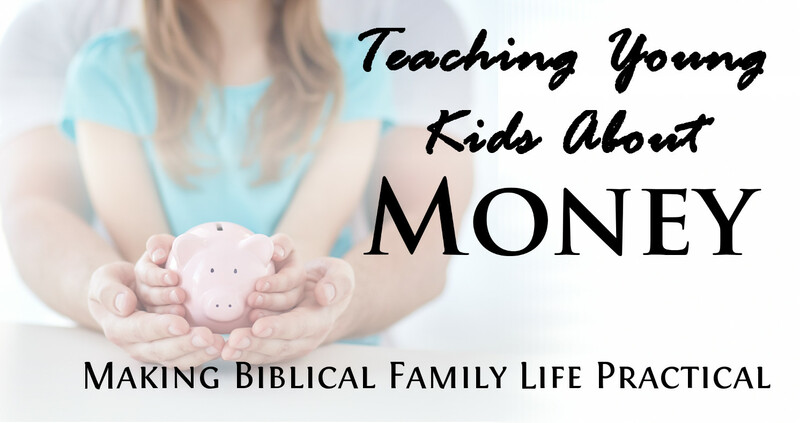 Parents – let’s teach them how to avoid that trap … tune in to the whole podcast below! 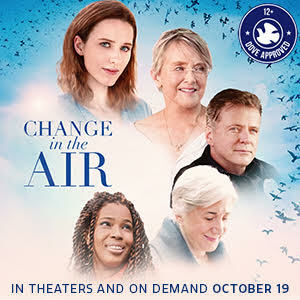 BONUS – The second half of the episode, we talk through a recent movie the way we discuss it with our teens. Listen in and see what that sounds like! 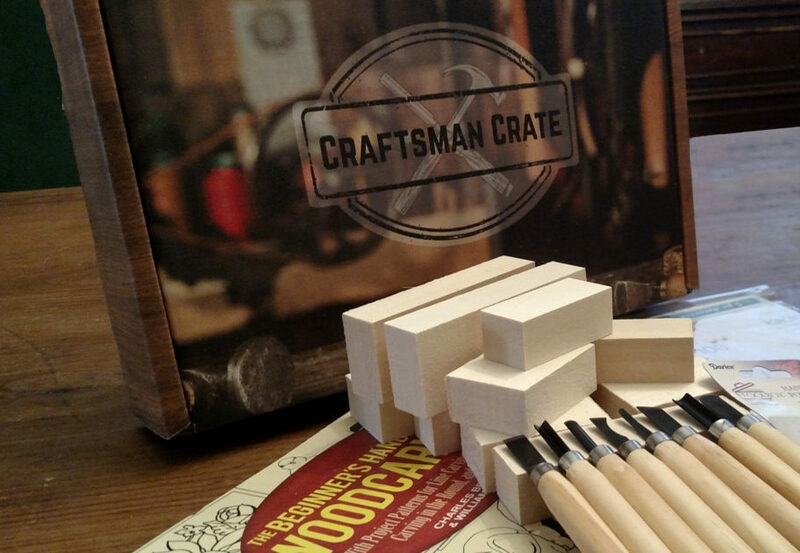 Craftsman Crate: The Subscription Box That Builds Your Skills! Click here to learn more – Use coupon code crate10 and save $10 on your first box! Check out our complete schedule here! The traditional wedding vows include the promise to love and cherish one another “in sickness and in health.” Yet most of us come to our wedding without a lot of personal experience of serious, life-disrupting illness. We accept the vow but don’t have much practical knowledge of what that may look like. “We’ve got kids who’ve had broken bones, we’ve had a child was born with a congenital heart defect. We have had all kinds of bizarre and strange problems over the years. 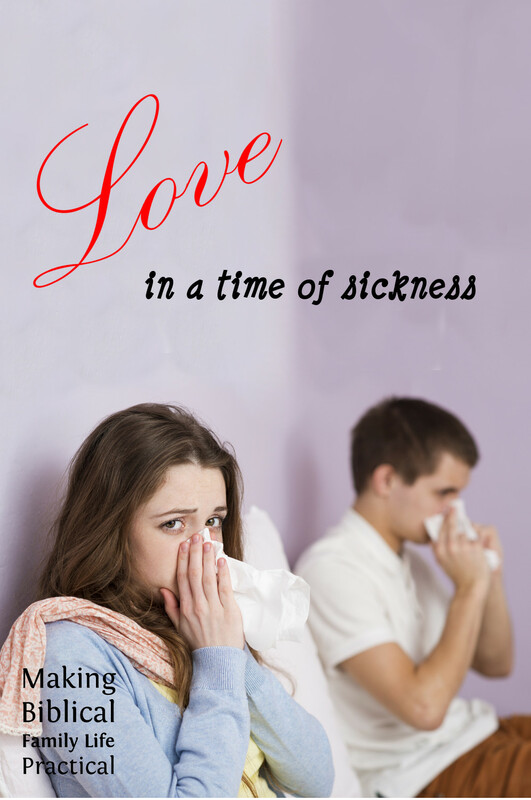 And yet I don’t think of us as a sickly family, … Here’s the thing. We make that promise up front that we’re going to be there for one another. 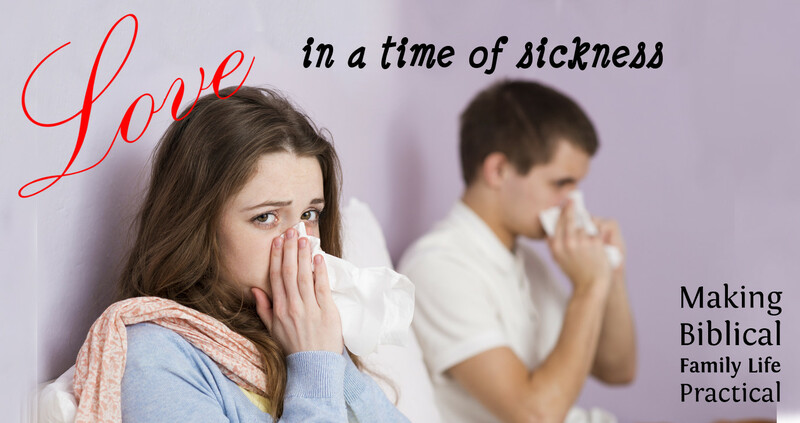 We’re going to love one another even when we’re sick and you know that that’s really a practical manner. That’s really the rubber meets the road there because you know, that’s when the loving feelings just aren’t there. “Do you remember when I got food poisoning? … We had only been married a matter of weeks. I will never forget that feeling of being in the bathroom throwing up and feeling such a nasty mess, and I was a newlywed! I was used to trying to be pretty and everything and I felt … so helpless. And I remember you wetting a washcloth and washing my face off and I tell you what — I felt some love for you. I felt a huge wave of affection for you. Love is about doing. It’s not about feeling. It’s an action, a choice of our behavior toward another person rather than purely a reflection of our feelings at the moment. What do you do when the adult kids move out … and then come back? This is not unusual historically – when we look back in our family history a hundred years or more, we see it was common for adult children to be living with parents and sharing the work of farm, forge, and kitchen – or for newlyweds to be living with their parents or in-laws for a time, too. But this has become more common in recent years. Why? And this all happening in the midst of a long, sluggish recovery from the financial crises of 2008 and beyond. 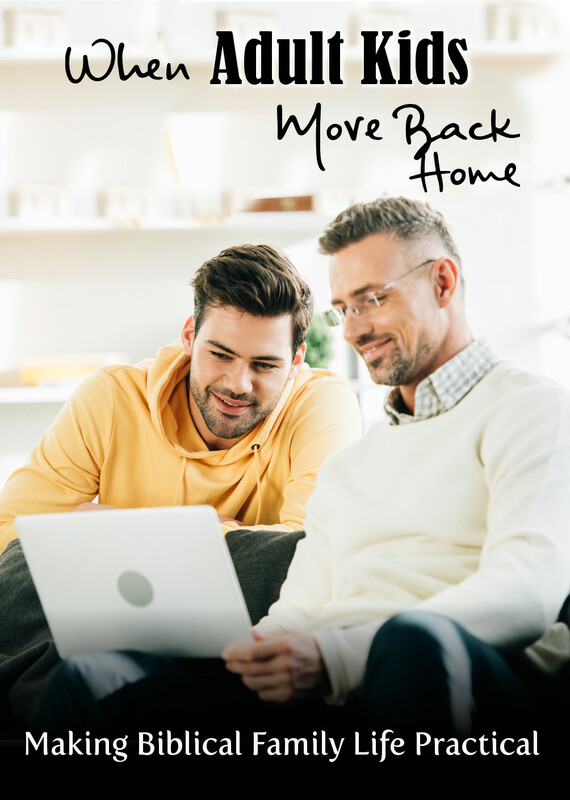 So it’s not surprising or rare for parents to find themselves with a twenty-something son or daughter moving back into their old bedroom. The question is, how can we make this work for all of us? The subscription box that builds your skills! 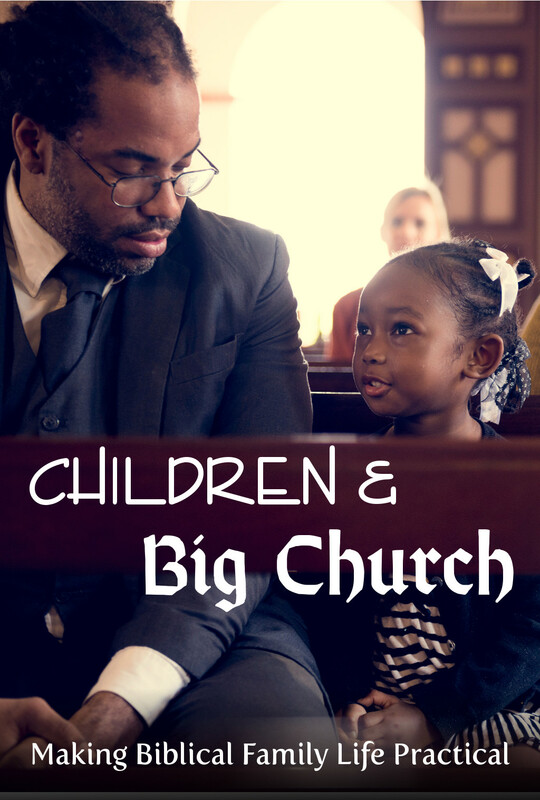 Should children be in the main church service with the big people? 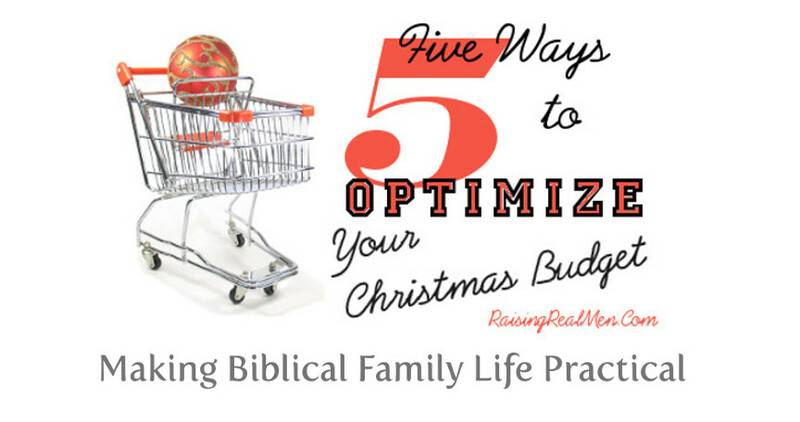 We had eight children and we’ve tried to keep them in “big church” with us as much as possible. 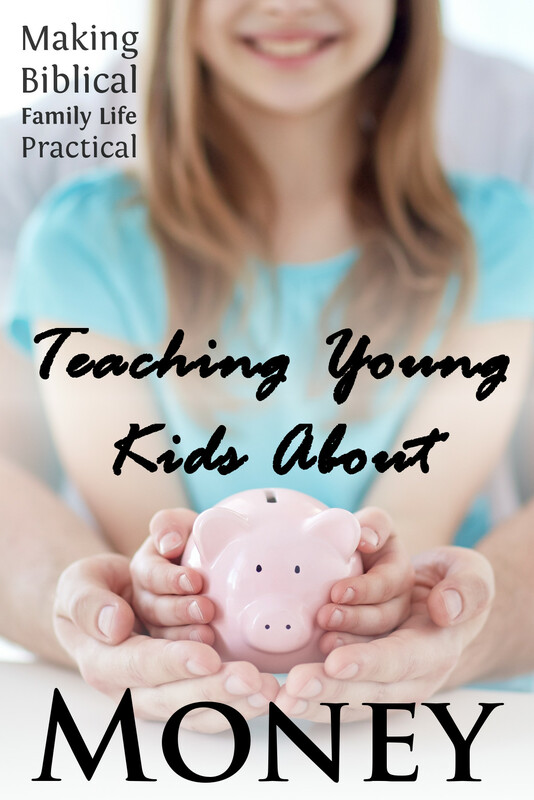 And we found that, with some wisdom and attention, it’s not only possible, but actually very good – and the kids learn much more than you might expect! This episode, we’re talking about the why and how of bringing little kids into the worship and teaching of the whole church. 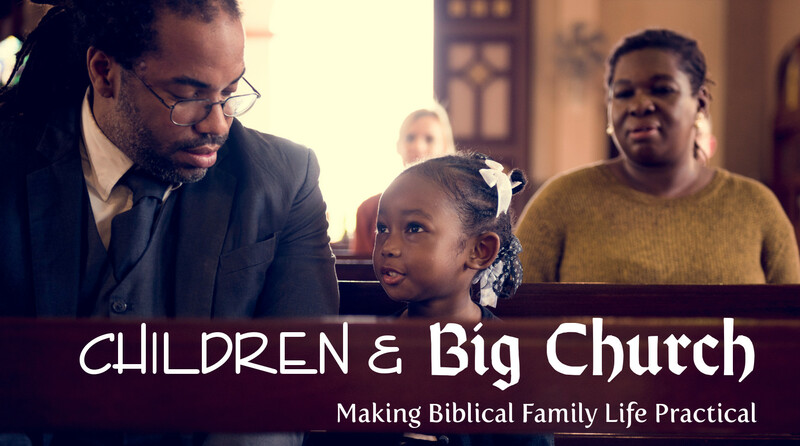 Many churches have separate services for kids, “children’s church,” in addition to nurseries that sometimes include kids well out of the diaper years. We’ve been to churches that strongly encouraged – or even demanded – that children be sent out of the main sanctuary! 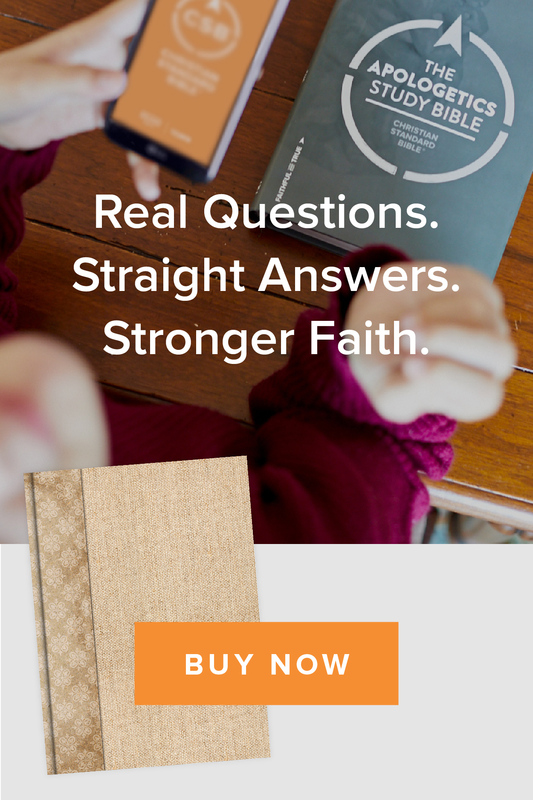 But what do we see in the Bible? Remember children are, after all, children. Don’t expect them to act like tiny adults. They will be fidgety, noisy, and childish. Start at home. 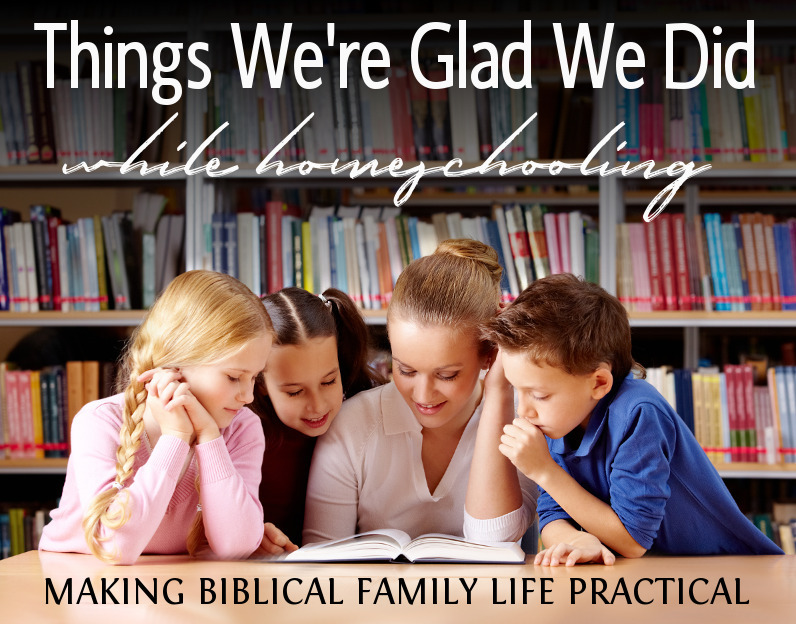 Include your children in family devotions. Teach them to sit quietly for prayer. Practice sitting quietly in Mom or Dad’s lap for periods of time while reading the Bible or listening to someone teaching. Prepare your children to behave appropriately in church. Remind them that there are times to be still and quiet, like during the prayers, and times to stand up and sing with joy. You may want to explain your church’s beliefs about Communion or the Lord’s Supper, whether your child should take part or not. Teach them to sing. Even a child who can’t read yet can join in the singing if she knows the words. And it’s plain from the Bible that God is delighted to hear the voices of little children singing His praise! Help the children understand the message. You can whisper a simple explanation or draw illustrations to keep a child interested and learning. Curt and Sandra Lovelace’s book Children in Church has great examples how to do this. Be sensitive to other worshipers. Some people just aren’t used to normal background noises of children. Sit near a doorway and be ready to quietly remove a fussy child – if they calm down, you might be able to slip back in. 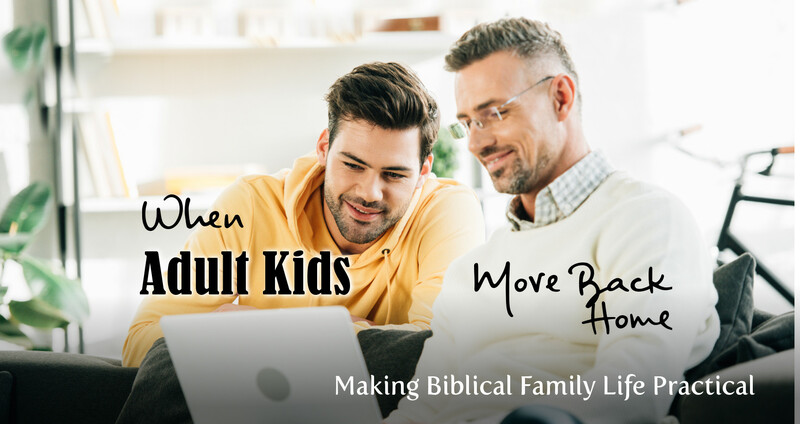 Don’t sell your kids short – if you make a habit of talking about the Lord and His Word at home, like it says in Deuteronomy 6, your kids will grow up with the knowledge and context that helps them understand a Sunday sermon and gain benefit that may surprise you. Go ahead, give it a try! 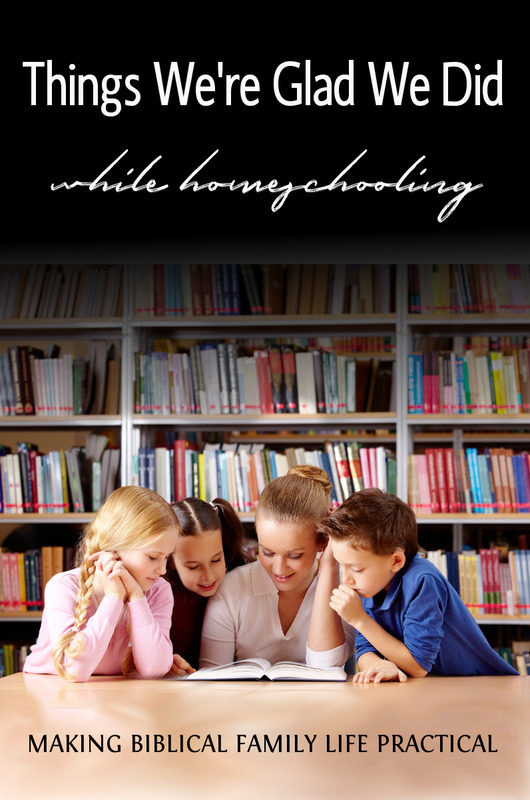 We’re speaking at the 2019 Virginia Homeschool Convention in Richmond, June 6-8, 2019. CLICK HERE for info about this huge event. Our Come Away Weekend is a marriage retreat and couples getaway combined. Everything’s included for May 3-5 at beautiful St. Simons Island on the Georgia coast. CLICK HERE to find out more! Would you like us to speak at your church, support group, conference or retreat? We are booking dates throughout 2019. CLICK HERE to let us know you’re interested! The Thanksgiving holiday is the busiest time of year on America’s highways, and you may be driving long hours with little ones on board. How do you manage this so you all arrive at Grandma’s in good spirits? We hit the road in 2010 with seven children in the van and we’re crisscrossing the country for six months every year. 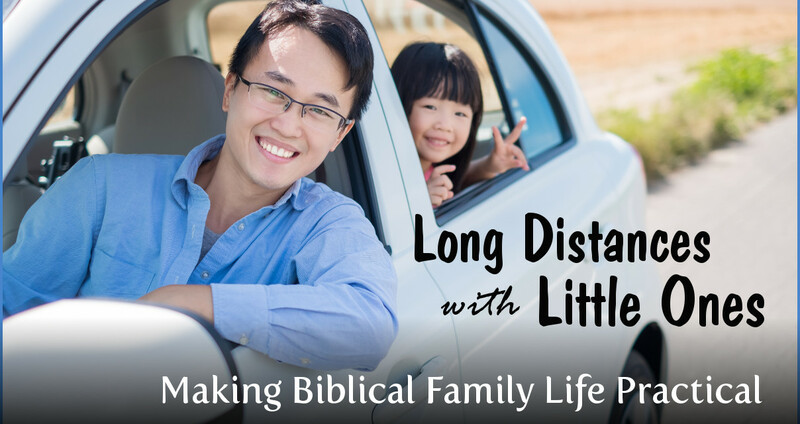 This episode, we’ll share what we’ve learned about covering long distance with little ones! Last year, AAA estimated 51 million of us would be on the road for Thanksgiving. That’s like the whole population of New York, Pennsylvania, Illinois, and Minnesota on the highway at the same time! It’s hard to guess how many of those millions were riding in booster seats, but you can bet it was a bunch. Take it easy on the mileposts. 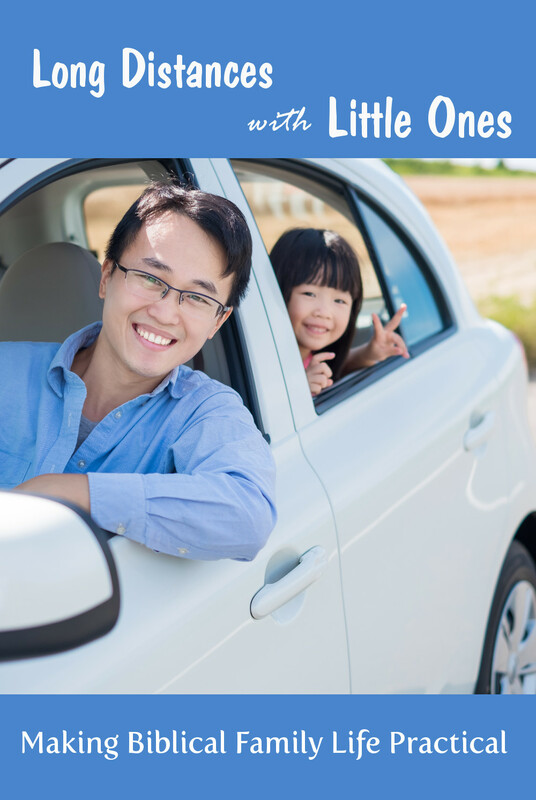 The fact that Dad the Road Warrior can handle 700 miles a day may not be the best plan for Mom and the kids. We were much happier when we slowed down our itinerary. Don’t miss the field trips along the way. We’ve had some great stops at National Parks, state historical sites, or even just picnic areas with a view. 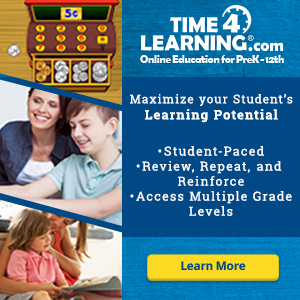 Go ahead – you might learn something, and if nothing else, the kids can run around and use up some energy! (Keep a ball or Frisbee handy to encourage some activity). A little research beforehand can highlight neat stuff ahead. Do like the airlines – distract the passengers with changing activities. You can hand out a snack, then a little while later surprise them with some new crayons or a book, then sing or play a car game, then maybe start a DVD or pop in an audio book (we’ve got some suggestions below!) Older kids might be able to do some schoolwork along the way – but if it’s a short vacation, you might want to just take the days off from book work and let them learn what they can from the travel. In the old days, an education wasn’t considered complete until the student had experienced some serious travel. Now, it’s so much easier to get around, we tend to rush through it and miss the good stuff along the way. Slow down a bit, let the kids out of their car seats some, and enjoy the journey together! Looking for some entertaining audiobooks that help build character, too? Check out the growing line of classic stories at RaisingRealMen.com, and for a limited time, use the coupon code audioholiday15 to take 15% off! 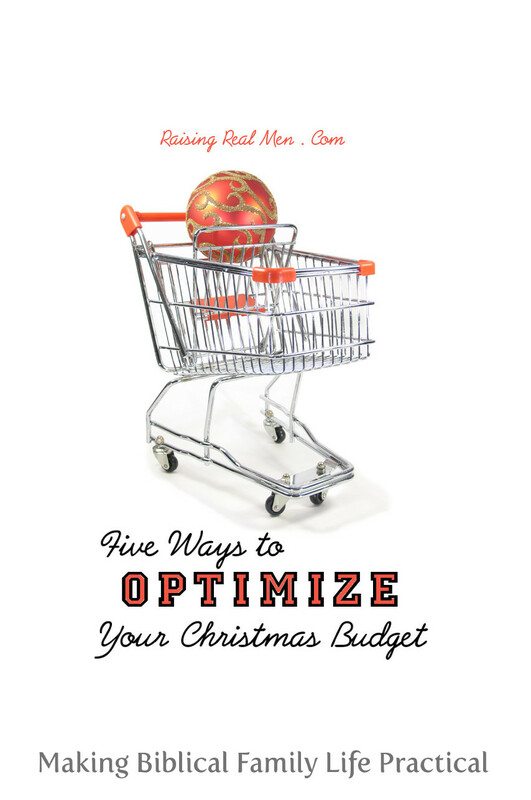 Brought to you by our publisher, Great Waters Press! 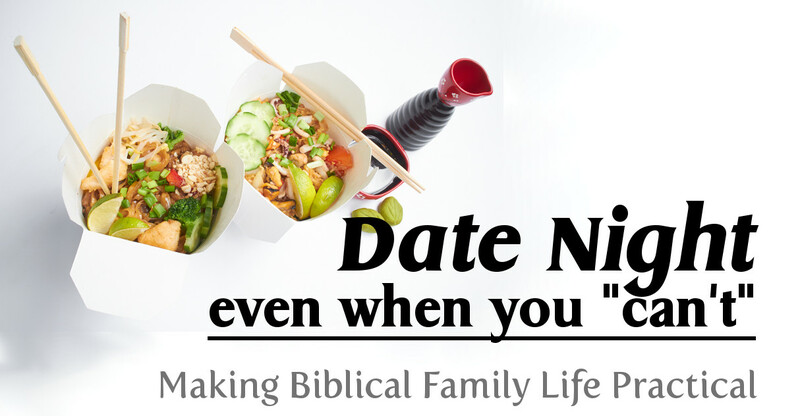 Once upon a time, when we were young parents a long way from home, we heard someone say, “Date night is absolutely necessary for a healthy marriage!” When you’re new in town and grandparents are a thousand miles away, that’s discouraging! But the important thing is not “dates” but connection – how to renew the face-to-face relationship in the midst of shoulder-to-shoulder life. This episode, we talk about practical ways to do just that, even if you can’t really manage a getaway right now! Actually the important thing is not “the event” but the time for re-connection. Don’t get frustrated and fretful over the inability to do a big formal celebration – it may be the best thing at this time of life is smaller and closer to home. In fact, home is a good option. We travel so much with our speaking and teaching ministry, we really find a quiet evening at home is a change of pace! We’ve had some great anniversaries and Valentine’s dates watching old movies on Netflix and eating dinner we prepared ourselves. What are some options when kids are in the mix? A second thing that’s important to remember is that we need all sorts of intimacy – not just the kind that takes total privacy and all kids asleep or absent. It’s good to just talk together, whether over dinner or a grown-up dessert, and let the kids watch their own movie back in the family room. If you really want them to entertain themselves for a while, you can even invest in some snack foods and turn them loose for an hour or two. If you haven’t noticed, people never stop growing and changing. You didn’t reach 18 or 25 or 40 and then stop, as if you’d arrived at a destination — life goes on, and you both will find new surprises in each other if you look for them. Why not ask some open ended questions – “What’s your favorite food? Do you like different things as an adult than you did as a child? What’s the earliest thing you can remember? What did you find surprising about being married?” If you need some suggestions, sign up for our free series, “LoveBirdSeed” and get fun and thought-provoking conversation starters every week. Of course you can stay up later than the kids … or get up earlier. You can go for a walk together or take the kids to the park, where you can sit on a bench and watch them play while you have some grownup conversation. Grandparents are a lifesaver if they’re nearby (and remember, letting your kids eat a few extra cookies at Nana’s house probably won’t topple the organic or keto lifestyle you’re cultivating at home). We even know friends who traded babysitting with each other on a regular schedule, one Friday a month at each house – and as the kids got older, the couples were even able to sneak away for overnights sometimes. Remember that a lot of advice people share is based on particular circumstances. Sometimes you’re so busy or kept apart by business travel or other responsibilities, you really need to jealously protect a few precious hours. In that case, a scheduled, carefully planned date on the calendar can be a lifesaver! But if you are blessed to have more free time together on a regular basis, the desperation isn’t the same, and maybe you can find good, satisfying “couple time” from day to day. 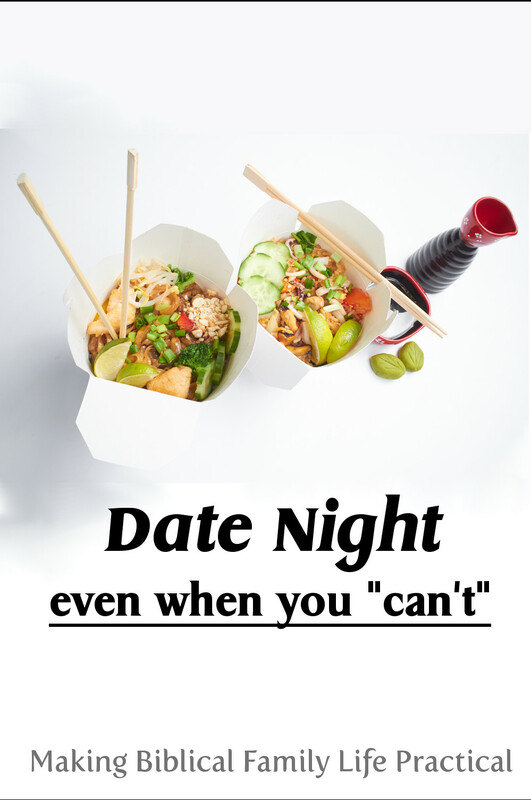 Date night can be great fun, but don’t feel that it’s a mandatory formality if you’re building a strong relationship in the informal hours of life right now! If you are looking for a great couples getaway, check out our Come Away Weekend retreats in the spring and fall. Details will be coming soon for our Spring 2019 event – for more info, visit our website!